"The writers made a pact right from the beginning" to honor the continuity of the long-running TV and film franchise. 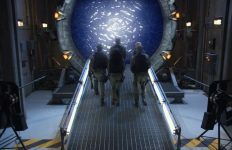 The Stargate franchise is going back to the beginning this week with the premiere of Stargate Origins, a short-form digital Web series that debuts Thursday exclusively at Stargate Command. In a series of ten 10-minute episodes, Origins will tell the story of a young Catherine Langford — the matriarch of the Stargate program who recruited Daniel Jackson in the 1994 movie — who goes to great lengths to rescue her father from the Nazis in 1939. But is Stargate Origins an “official” part of the venerable franchise’s canon? Producers of the digital series say yes. Discussion among fans who have read the project’s synopsis and watched the trailer often focus in on those bits of continuity that have been established with respect to the 1930s and 1940s. The Stargate was uncovered in Giza, Egypt in 1928, and shipped across the Atlantic ocean on board the Achilles sometime near the outbreak of World War II in 1939 (Stargate: Continuum). By 1945 the U.S. military was supporting Dr. Langford’s work, and Ernest Littlefield was lost through the gate when workers randomly dialed a valid address (“The Torment of Tantalus”). Catherine (Elizabeth Hoffman) takes her tentative first step through the Stargate in “The Torment of Tantalus.” … Or does she? 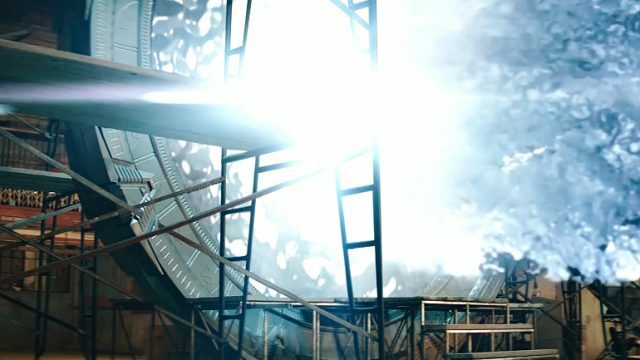 While that leaves some important gaps that Origins can fill in, one especially large continuity matter remains: Will Catherine go through the Stargate in 1939? And if she does, will she remember it after the fact? What, then, could have happened in 1939? Our source tells GateWorld that the scattered bits that we already know about this era in Stargate history in fact informed the story of Origins in a big way. That would include the Germans, who acquired the D.H.D. from a Giza dig all the way back in 1906 (“The Tomb”). (It would be confiscated by the Russian government after the war, according to “Watergate.”) Since the Nazis play a big role as the antagonists in Origins, it stands to reason that they already know something about the Stargate when Dr. Wilhelm Brücke encounters the Langfords. But let’s set Stargate Origins aside for a moment and ask a broader question. The question of what material counts as canonical differs from one franchise to the next — especially in the era of new media, where stories are told far beyond the confines of a television screen. Gene Roddenberry reputedly restricted Star Trek canon only to what happens on screen in a TV show or film; J. Michael Straczynski opened up Babylon 5 canon a bit wider to also include a select number of tie-in novels (though not all of them). With Stargate the question of canonicity is a bit more tricky. The TV series departed from the film’s source material in some significant ways (was Ra a Roswell grey-type alien? or a snake-like parasite? Which galaxy is Abydos in, again?). This already requires a bit of speculation and fuzzy logic to place the movie and the TV shows in the same universe. Atlantis ended its final episode on Earth. So who gets to decide where the story goes next? Take for example the events that reputedly take place after the series finale of Stargate Atlantis. 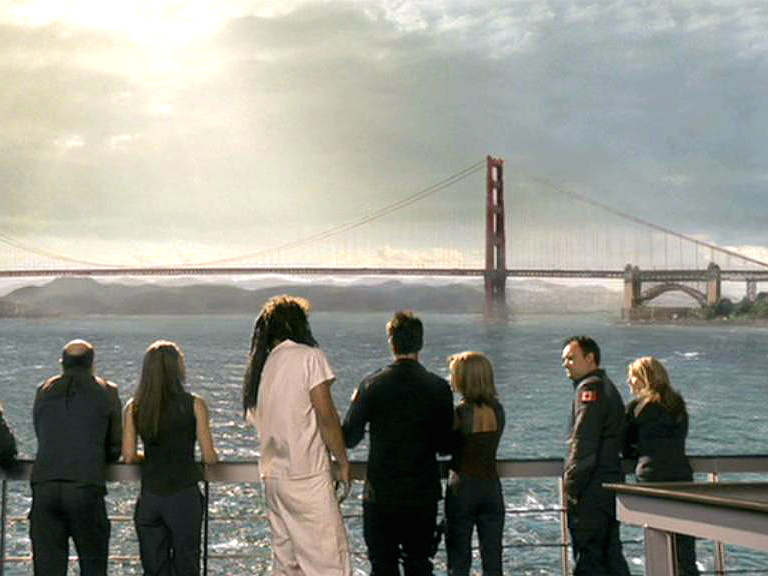 Does the city ever return to the Pegasus Galaxy? How, and under what conditions? Three different versions of that story actually exist: Fandemonium’s official licensed Stargate Atlantis: Legacy novel series, American Mythology’s equally licensed “Back to Pegasus” comic series, and the complete screenplay for the unproduced film Stargate: Extinction. Which of the three versions of these events is canon? With contradicting media tie-ins and a movie script that never made it to screen, the answer is none of them. In theory, another writer could come along and create a new, live-action Atlantis project with MGM, filling in the story in ways that disregard all previous efforts. What’s clear is that, at this stage, licensed tie-ins should not be considered canon — if for no other reason than the fact that they can contradict one another, as there is no central clearing house to ensure that they do not. This would apply also to Alderac’s Stargate role-playing game (which evidently makes internal claims to being canon), and the animated series Stargate Infinity. As for Stargate Origins, moving backward rather than forward on the Stargate timeline posed to the writers a different set of continuity challenges. That includes a lead protagonist who would convince her colleagues — and viewers! 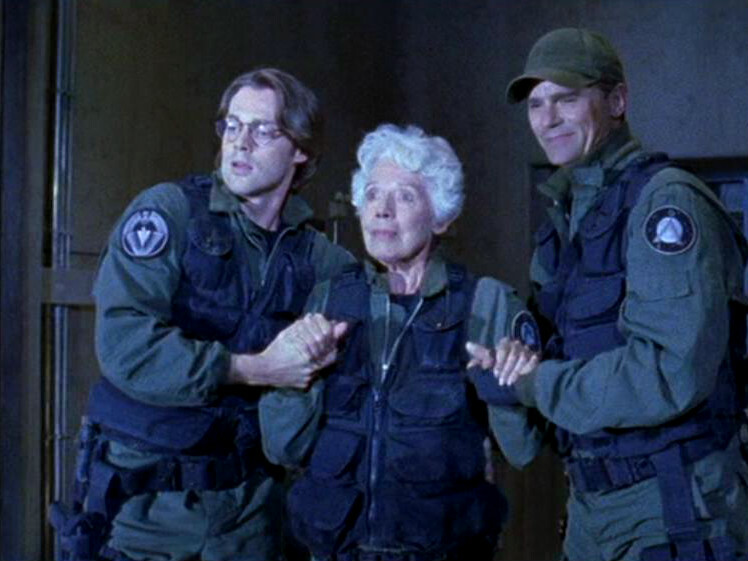 — in the 1990s that she had never been through the Stargate. Some production decisions are simply artistic, or dictated by budgetary needs. The design of the Stargate and its chevrons in Origins, for example, is closer to the movie than the television series. The webisodes also echo 1994’s Stargate in a number of visuals, sound effects, and musical cues. 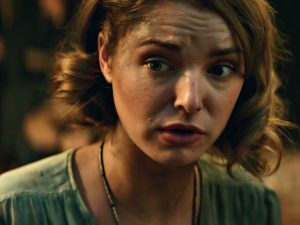 Ellie Gall plays a 20-something Catherine in Stargate Origins. Rather than breaking continuity, it might be the case that Stargate Origins adds material that prompts viewers of the entire, 24-year legacy to view certain events in a new light. Of course this sort of broader context — you might say “retroactive continuity” — isn’t new to storytelling in the Stargate universe. The Stargate had never been opened before 1994 … until a good story came along in “The Torment of Tantalus” that revealed that it, in fact, had. Abydos was located in the distant Kaliem Galaxy … until it made more sense for the TV show to make it a close neighbor of Earth. And Achilles sailed into port without a hole blown in its side and a man from the future on board … until Continuum‘s time travel made it so. In each case, Stargate’s continuity flexed and adapted to meet needs of a new story. When such retconning does occur, what is needed is a soft touch and a creative team that seeks to honor everything that has come before — and not blow it up. Stargate Origins premieres February 15. I got All Access on Stargate Command tonight! I so excited for more Stargate! The whole Kaliem galaxy thing could have just been a simple calibration error. I remember when the STD producers said the same thing and the show didn’t end up good. I don’t think Catherine Langford need an origin story. Whatever happens, I hope they don’t write her as another Michael Burnham or Rey. I will give it a chance. I am happy that Stargate is reviving. It was such a good series with great characters and many episodes that were beautifully written. I have a great affection for all the characters and hope Origins will join the club! As far as Ra’s apparent pre-discovering humanity appearance in the movie, the alien we saw in flashbacks can just be retconned as the host the Goa’uld parasite Ra was inhabiting at the time. I know he seems to revert back to his alien appearance just before he dies at the end, but that’s no stranger than the top chevron on the Stargate mysteriously changing appearance between the movie and Children of the Gods.